DO YOU WANT TO GROW YOUR DENTAL PRACTICE? Whether your goal is to generate more Dental leads, increase online presence, create brand awareness, our Dental Marketing Company can help your dental practice achieve its full potential with our tailored digital marketing package. Are you ready to be found in Local searches for your Dental search terms? Dental Marketing Experts You Can Trust! We guarantee that your dental marketing campaign will experience a positive ROI from using our dentists SEO Services. With our expert local SEO optimisation, we will ensure no penny is wasted. 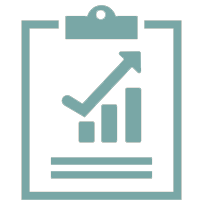 Most of our clients see a 35% to 45% increase in ROI over a 12 month period. we will not bind you into any long-term contracts ever. We do encourage to give at least four to six months to your marketing campaign so that our work can fully impact your dental site. You are free to stop and leave anytime you want. We have access to the best SEO marketing tools and software which will help you optimise your marketing costs. We track your dental site using advanced SEO tools and continually optimise your campaigns so that you get the very best out of your marketing campaign. You will get an experienced account manager to manage and guide you, as well as a full support team to look after your development, content writing, and PPC AdWords account. All our work is undertaken in-house within the UK. You will have peace of mind and no marketing stress, we will take over all your marketing requirements so that you can focus on what you do best which is to treat patients. You can rely on us to get your Dental practice the patients it needs and create a marketing strategy to see it grow month by month. Our SEO Services have helped many dental clinics both locally, nationally and internationally get to the top of the search engine rankings. No matter how small or big your Dental clinic is, we will get your site to the top in the shortest time possible. Do you have a Dental Practice website? Have you tried to find your practice on Google? Can you see it on the first page within the search results? If your website is not appearing at the top of the Google searches, you require SEO Services. Those days are over when an advert in your local yellow pages was enough to attract new patients. As the internet and the digital age has taken over, people changed their ways of looking for information and services too, Google is where your potential patients search for the services your offer as a dentist. Today’s dental industry is a tough market. While you still need a brick and mortar building to house your practice, this is no longer how the modern patient finds a new dentist. Thanks to the internet, you need to use SEO, or Search Engine Optimisation, to maintain your visibility and exposure to new business. Whether you’re a general practice or a specialist service, dentists simply can’t ignore the power of online searching. This is why we founded Dental Marketing Company: to help dental practices in need of gaining an online foothold and ensuring they’re not being overlooked by new patients. We help you create great looking dental websites that help you convert dental patients and become more profitable! We will take your dental practice to new heights with our targeted SEO strategy through which we will optimize for all specific dental problems so that we attract the right audience to your practice. What does SEO mean to a Dental Practice? SEO is a practice that utilises various strategies to keep your Dental practice at the top of the search engines for your prime keywords. For example, Cosmetic Dentist New York or Dental Implants London. People will type these popular keywords on Google and find your dental practice at the top. All in all, if you have a dental website, then its a no-brainer to invest in SEO. Book your free, no-obligation dental marketing consultation with a member of our expert team today and start your journey with Dentalmarketing. If you do not market your site, then how can you expect to attract new patients? SEO is an on-going marketing activity that you must keep doing to keep positioning your dental practice at the top and attracting new patients too. Dental SEO is not just a one-off thing, would you clean your teeth and expect them to shine all year around? No, you will tell your patient the importance of regular dental cleaning to keep your teeth healthy. SEO is not different either, in order to maintain your site at the top of the search engines, continuous work is required. Why is Online Marketing better then Offline? Nowadays, when we encounter a problem, we tend to "Google it". This trend is growing more especially after the introduction of the smartphones. With regards to Dental health, people are turning to the web to find the quickest solution and the best local Dentist! We will help your Dental practice stand out in the local searches so that you get the most traffic and click-through! Why Your Dental Practice Needs SEO? We are the No1 Dentist SEO Agency Just for Dentists! 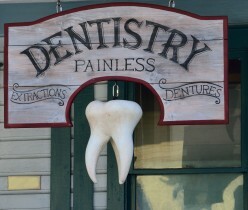 Dentist practices, like any businesses, need customers to survive. However, dentists need to be extra careful, as your clients are very unique. Your typical patient will spend time looking for a practice and, once they’ve found one, they seldom change. In short: it’s not enough to just be in their periphery vision. You need to be directly in their sights and that means having a strong SEO presence. You can’t just count on a visible high street presence to get attention anymore. People looking for a new dentist, or even those new to the area, will first head to the internet. Through organic results, sponsored listings or even local maps, they will use their computer to get the best results. So, if you’re not on page 1 of Google, how will they find you? Not to worry "Dental Marketing Company" is here just to help your Dental site reach its full potential. Our Dental Marketing Company can help in numerous ways. Primarily, we can break down SEO into a number of key areas, including Getting on the first page of Google’s organic results, where the strongest visibility lies, Sponsored advertising or PPC (Pay Per Click), targeting specific users when searching for dentist services, Social media services. Through link building and other techniques, we can ensure your dental website ranks highly for the right traffic. This is done by analyzing possible keywords and targeting the exact search behavior of potential customers. What is SEO - A great insight into understanding what SEO is and how it can benefit your dental practice. What is Off-site and On-site SEO - A complete guide into what on-page and off-page optimisation is. What is Link-Building? Here is a good read into what Link-building is and why is it important for your dental site. Why does your Dental Practice need SEO? Here are some 27 reasons why your Dental Practice requires SEO. How to Set-up you Dental Practice in Google My Business? A quick step by step guide into setting your Google My Business account. A Simple Guide on How to Grow Your Dental Practice? We all hate the dentist right? More any other medical practitioner, we find the dentist to be the least favorite of all. Talking about dentists, we heard all kinds of struggles in finding the right dentist, from complaints about fake cavity to being over-charged for a service they did not receive. What we must all agree, is finding a good dentist is hard! As a dentist, you might be finding hard to bringing in good clientele, and more so quite a lot of them. Our Dental Marketing Company has analyzed and researched some important marketing ideas that dentists can use to acquire potential customers within their localised area. Google Maps is an important marketing medium especially if you want to increase the number of your patients coming to your dental practice. An advert on Google maps could increase the conversion rate as your potential patient could find your dental practice with just a click while entering keywords such as " dentist near me" or "dental clinic" within the search bar. While using Mobile, these ads include directions and call CTAs. Instagram is another great marketing medium that can be used to increase your dental practice's patients. Nowadays Instagram has become a place to shop as well as creating brand awareness. We have all seen many companies advertising on Instagram, for example, orthodontists showcasing theirs before and after pics. As a dental practice, you can create an advert on Instagram targeting all your potential patients within your locality. Only they will be able to see your ads. With Instagram, you will need to update your images regularly and keep in touch with your followers. Email marketing is a cost-effective marketing idea that a dental practice could implement. Your dental practice can begin collecting email data of your existing clients as well as all new potential clients with your area. This data can then be used to send offers, bills and appointment reminders to your patients. This method is pretty simple and extremely cost-effective. As a Dental Practice, you have your Facebook page but now you want to get the word out about your dental practice. You need to be specific about your target market and the demographic you want to market to. For instance, you do not want your ads to be showing outside of a 100-mile radius - if you are in London and someone in Birmingham is seeing your ad, then that will not do your facebook advertising nor your dental practice any good. Your ads should be targeting the local audience, ideally within a max 10-mile radius. Your ad should have your address, telephone, opening and closing hours, a "Get directions" link. Your ad can also include a call button so that your potential patient can call and book an appointment. As a Dental practice, your main goal is always to increase the bookings or appointments made on a weekly/monthly basis. Appointments are usually done by picking the phone and calling the dental practice. Click to call ads are available through Facebook and Adwords on mobile, desktop and tablet. You can add an extension to your existing ads, or create a call-only marketing campaign. Whether you send your potential customers a newsletter, text or a phone call, appointment reminders are very important to make so that you ensure your patients show up. Do you know you can streamline this process by utilizing Google calendar alerts and by thus sending appointment confirmations and reminders by email? This method can also be used to remind your patients for other appointments that are not booked yet i.e for an annual cleaning. We all know that going to the Dentist for a cleaning is a must but many people don't. Within Google Adwords, you can target various demographics based on an individual's income level. See the example below of how to set-up AdWords using the Advanced Location tab which is found under the settings. Select the “Location groups” tab and you’ll notice a list of three options. The one you want is called “Demographics. Now, select the household income tier (or tiers) you’re interested in and click the big red “add” button! This can be used to target higher income levels with ads for teeth whitening etc; you can use the lower income threshold for services like basic teeth maintaining. Remarketing is a marketing technique whereby you reach people who have visited your website or medical practice online. You place specific ads which will be ideally focused on re-capturing those potential customers. If your Dental practice collects addresses, you can take leverage of these through customer match on Google AdWords and on Facebook. Simply upload the email addresses and create a remarketing target market. This will entice your potential patients to visit your dental practice again. What do you do when you find yourself with painful wisdom tooth pain at 1 am? You will probably be Googling for " emergency wisdom tooth extraction in London. it is important that your dental practice, when registered as a business within Google, provides a call CTA. Optimizing your website for keywords like emergency or urgent is one easy way to be found by potential patients immediately. The return on investment for those keywords will be fantastic as not many dental practices offer emergency services so the conversion rate of potential patients is greater. A study conducted in 2014, 88% of customers trust online reviews, therefore we cannot stress enough the importance of Yelp. Claim your business if you haven't done so. Your patients might be already writing reviews of your practice, so be quick to claim your Yelp page and reply to your reviews if any. Yelp is the post-millennium go-to place when looking for a good dentist. Claim your Yelp business here. As a Dentist did you know that the Dental Business Model has evolved, this is stated in a report prepared by the American Dental Association. All in all, the patient demographics, insurance options available, finance, and the amount of group dental practices are all experiencing a shift. We all know that life expectancy rate has increased which means the number of patients aged 65 or older requiring dental care is gradually increasing too. With the shift towards digital marketing and the growing numbers of dental practices, being at the top is more important than ever before. The internet has become a competitive marketplace and your Dental practice has to stand out from its rivals. Does your Dental Practice have the ability to endure these market changes? Dental Marketing Company is here to help your practice grow despite all these marketing factors. How our Medical SEO Services can help? What Dental SEO Packages are available? How to Market your Dental Clinic? How to Speed Your Dental Website? Why Return of Investment is Important in Dental Marketing? How to Set-up Google My Business for Dental Practices? Why does the Dental industry spend more on marketing? How to Create a better Dental site? What is Local Dental SEO? How can Dental Site Owners Identify a site Penalty? How to improve the organic SEO ranking of your Dental site? What are the SEO tasks to undertake regularly? Google can now remove your personal medical history online by request! 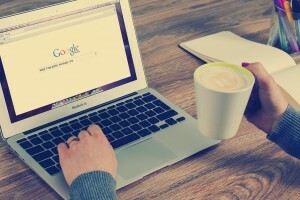 Should you write content for people or search engines? How to recover from a Google Medic Update? 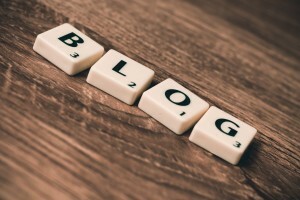 How to increase your Dental Blog traffic? 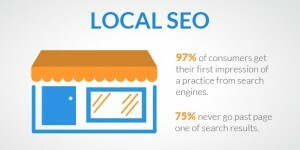 Why Dentists need Local SEO - here's 6 reasons why! Does Google reviews impact local rankings? How a Dental Website recovered from the Google Medic Update? Dental Blogging or Podcasting? Which is Better? Do Social Signals Influence SEO? What is the Technical SEO Checklist? How to create a successful Dental or Health Blog? What are the best content marketing tips for Healthcare websites? What value does SEO hold for your clients? What are the best Google profile tweaks for my Dental website? How to find your Dental competitors online? How can Dentists attract more patients to their clinic? 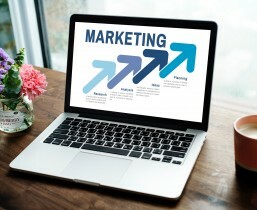 What are the best Dental Marketing Strategies for 2019? Our Starter SEO package is fully scalable, customisable and geared for long term success of your Dental practice, ensuring achievement of page one results in the Dental market. This is our great value solution for Dental practices and Dentists that are serious about maximising their SEO results, providing them a full scalable, customisable SEO package. Our Dental Pro SEO package is perfect for Dental Clinics or Dentists who have multiple clinics in various locations. This package will target atleast 3 Dental clinics or branches at one time. Given the fact that there are so many Dental marketing agencies on the internet nowadays, it's a tough task to pick one that provides ethical quality dentist seo service at an affordable price. Most of the Dental marketing companies just take money out of your pocket and build some spammy links that are not of any help to help the rankings of the website. Many of our dental clients report that their marketing campaign was being taken care of by some seo agency in the past, but as soon as the Google updates were released such as Penguin, Panda or Hummingbird their rankings dropped. It is simply because; your previous Dental marketing company did not do the job right. 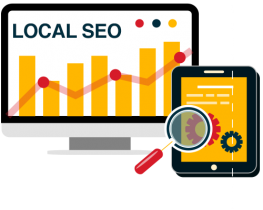 Dental Marketing Company provides customised seo packages for dental practices with an aim to secure page 1 rankings for your website both locally and nationally. 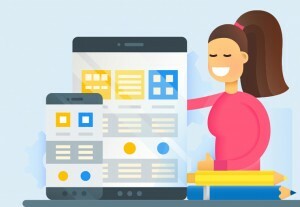 Our white hat techniques and methodologies are in line with the latest updates released by various search engines like Google, Bing, and Yahoo which assure you of a rank on the first page. Our client's results clearly speak for themselves. Our SEO consultants will guide you through the marketing campaign and tell you everything that you need to know and the important role you need to play too. In fact, we have used the same digital marketing methods for our own site and consistently rank on page 1 for some highly competitive keywords in our dental industry. So, all you need to do is relax and let us bring your website to the top! Our prime objective is to get your Dental Practice to the top for those 'money keywords' that are in high demand. These are keywords/phrases that are highly competitive, most searched and shape the success of the dental practice. We will undertake keyword research and analysis so that you can pick the most apt and relevant targetted keywords for your marketing campaign. Our SEO campaign is not just about getting your site to page 1 but it's about giving a return on investment. We work closely with you to know your goals, budget so that you never overspend during the initial stages. Our aim is to see your dental practice business grow and we want to be part of your success story! Fill in the above form below with your website URL and your desired keywords, our experts will get in touch with you with a perfect customized strategy for your business. Most businesses are aware of SEO in some aspect. However, many don’t understand how it directly applies to their business. Many industries face unique challenges and, often, one set up of SEO techniques simply won’t be relevant for all. 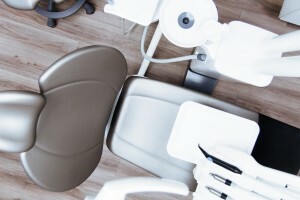 So, how do we tailor our SEO services to dentists? By using our knowledge of the industry and our years of experience, we’ve learned which techniques work the best for dentist organizations. First and foremost, dental practices need to focus on their local community. Someone living 2 cities over isn’t going to find much use for your services, so why waste energy applying yourself here? By focusing on local SEO, we can ensure your business appears on a closer scale. This is important for numerous reasons. Not least of all, it helps mobile devices. If someone has an emergency, or simply wants to book an appointment at their nearest dentist, they will often use their phone. Thanks to local pack results, online maps, and other local search features, search engines hone in on nearby locations. This can convert searching into real foot traffic in your clinic or practice. We ensure you appear on such local searches by understanding how search engines collect and rank this data, such as business listings, a clear business address and more. On the other side of this, there will also be people looking for local dentists at home. These people will often search for location-based keywords. For example, someone living in Birmingham will look for “dentist services Birmingham” rather than just “dentist services”. By focusing on these local terms, that favor longtail keywords, we can ensure the traffic your website generates is much more relevant. Specialised Searching Keywords - Rank for your Services! Of course, the dental industry is an area full of specialisation. People will often look for specific needs or areas of expertise. If you can provide these services, you need to ensure your website is visible when they are searching. This is just a quick list – and it certainly doesn’t include some of the more specialised fields available – but it should give you a clear impression. When someone needs a specific service, they often search for these specific terms. Your SEO campaigns should reflect this. People should be able to search for these terms and get sent to the correct areas of your website, giving them the information they need. This will encourage them to pick up the phone, book online or even simply visit your clinic. They’ve expressed a need and you’ve visibly shown a solution. This also pairs well with our local SEO methods, as mentioned previously. People want specialised results and, furthermore, they want them in their area. Combine these two factors and you can ensure you are highly visible, whether people are searching from a computer, tablet or mobile device. Speaking of specialisation, it’s vital that your website also reflects these individual searches. People want quick, clear and easy answers. The best way to provide this is through a website structure where every specific service has its own page. In other words, two people searching for “dental hygienists” and “orthodontists” in their area should both see your website in the organic results – but they shouldn’t see the same page. To provide both this information on one page would be confusing and distracting, likely causing you to lose both potential customers. Google and other search engines think the same way. We can advise you on a simple website structure that works holistically with search engine crawling methods. This way, search engines can better understand exactly what services you offer – in addition to knowing where you are based – and use this information to answer local needs. Alongside organic results, you may also wish to target paid search promotions. These display ads in various areas, depending on the PPC (pay per click) platform used. Common examples include Facebook ads and Google’s Adwords, both of which can be beneficial for your dental practice. Although you pay for each click, these ads are often prominently placed, beating even organic results. Furthermore, thanks to the ability to target specific audiences, keywords or even periods in time, you can be very exact about what you wish to promote. Promoting specific services when they are the most popular (for example, pediatric services before children return to school). Remember earlier, when we said that it’s vital to keep track of specialised searches? This also applies heavily to any PPC or paid promotions you run. Different services have different frequencies, with customers returning for the same service more or less often. As a result, you may wish to focus your paid promotions accordingly. This also includes something known as a halo effect. When combined, SEO and PPC are often shown to produce even greater results. This is because your organic and paid results take up more space on the page, ensuring users become very aware of your name and browsing. Even if they do not click on either of these links straight away, studies have shown that this can still strongly encourage them to come back at a later point. After all, if they’re searching for local services and your practice’s name keeps coming up, it’s clear that you’re a local dental clinic that can answer their needs. Dental Analytics - Analysing for Success! This part is true for any industry, but it’s just as vital for dentists. Getting results is not effective if you don’t have a way to measure, record and build on the results. As SEO experts, we already use keyword data to determine what search results are the most common, allowing us to apply our efforts where they most matter. However, we also need to utilise analytics to ensure customers have the best experience with your clinic’s brand as possible. We can use various tools to track user behaviour and performance, learning which queries send users a positive experience and which fail to convert. This can then help in the ongoing process of constant improvement. Such analytical data can tell us whether or not are content pages are meeting a users need, if they are getting lost on the website or if their isn’t enough social proof to convince them to make that phone call or book via the online form. It’s one thing to know if sales are up or down on a particular month, but it’s a strong focus on analytics that will explain exactly why this happened. Another approach that works as part of an SEO strategy is through the use of promotional content, such as blog posts. There are many ways to use such content. One way is to produce a blog on your own website, or even guides on specific areas of your business. This can answer the needs of potential customers and, while they might not convert into customers straight away, you ensure they are familiar with your brand by helping them out. Likewise, this can be supported via social media, such as Facebook, posting in the local community and otherwise engaging with this audience. This can also be promotional in nature. Earlier, for example, we mentioned that there may be a lot of parents looking for orthodontist services before a return to school. If you have data from your own company that suggests this is the case, why not create content specifically about this? By answering parents needs and concerns, you start to familiarise your brand with them. By talking directly about something that is important to them – and utilises your status as an expert in the field – people will head over to your website and discover your services. Social Media platforms are vital in this day and age as many of your patients are using them on a daily basis. As a Dentist, you might not be too fond of using Facebook or even have an idea about what Instagram is. Your Dental practice must create Social media accounts on all popular platforms like Facebook, Instagram, Twitter, and many others. When you create regular posts about your Dental practice, your followers or fans will be kept informed about your services or any offers you might have. The objective of using social media platforms is to keep your practice engaged with your potential future patients. What can you post on your Social media? Anything and everything about what's going on within your practice, news about teeth, some images of dental treatments you've undertaken, interesting engaging posts about dental health. Always remember to post links back to your website as it helps your websites build traffic this way too. Apart from creating posts, you can also create targeted ads within Facebook to directly place your ads in front of your potential patients locally. Ensure your Dental practice joins all groups related to your industry and engage with potential patients by providing free recommendations and suggestions. All in all, in this digital age, a Dental practice cannot ignore the impact of social media if it wants to grow as a business. Rate of Return - Because Investment does MATTER! Finally, it’s worth mentioning that dentists are one of the more unique industries when it comes to SEO, in that their customers often represent a long period of loyalty. If people find a dental service they like, they often seldom shift of switch. So, gaining a customer now could mean gaining their business for the next few decades to come. Similarly, if they are a parent with children, for example, this could generate a lot of success for your clinic. However, this is only if you are visible when they first make that vital search. If you’re not there, then you lose out on all of this as they will simply go to a competitor that made the effort. Given that SEO generates such long returns on investment, ensuring your online presence remains visible is absolutely vital. What Makes Dental Marketing Company Better than other Dental Marketing Firms? 1. Personalised Service - What works for one dentist will not work for everyone. We offer customised marketing solutions that fit your requirements and goals. 2. No Long-Term Contracts - We will not bind you into long-term contracts, we want you to be happy with the campaign. 3. One Dentist per Area - We don't compete against us, we will not work with anyone in your geographic area. 4.Total Transparency - We will always keep you updated on what we are doing to get you, new patients. What are the Best Dental Marketing Ideas to Attract New Patients! Do you know how does your Dental Practice gets new patients? As a Dentist or Dental Practice owner, do you have a concrete answer for this? We all need dentists wherever we live, some dentists simply rely on the traditional word of mouth referrals while others turn to Google to reach their patients. These marketing strategies differ on many levels, the first one is non-existent but can work if the Dental clinic has been well established for a long time. The second strategy is something that all dentists should follow, get their dental clinic site on Google and reach out to your patients. You still don't want to be the old-fashioned dental clinic that waits for word of mouth patients, you need to attract more patients and stop wasting time and money by relying on the old marketing methods. As a Dental practice, you might be confused about where to start, that's where we come in. We have worked with dental practices all over the world and will outline the best marketing ideas to attract new patients. The content that is generated by the general public (users) is deemed to be the most powerful content for any site. Content generated by users (in dental industry "Patients") is the most influential type of marketing because other patients will trust content written by their fellow patients. We all know that every Dental practice will claim to be the best in the area, this will only be confirmed by the patients in the form of reviews written about the Dental practice. As a Dental practice, if you want to build trust within your patients then you must get more reviews online. By getting reviews, you can rank higher within local searches, but create and establish trust and credibility. Now let's open a few Dental practices in your local area, 5 have no reviews and one has fifty excellent reviews, which Dental practice will you see first? Create your Dental Clinic's Google Business listing and start collecting reviews right away. Secondly, you can also collect reviews on social media platforms like Facebook. As social media plays a huge part in digital marketing, it is imperative to have your dental page on social media and that too with excellent reviews. 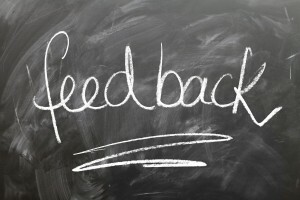 Just as we finished writing about the importance of getting reviews on your Dental practice site, we mentioned reviews within the social media platform and how important it is to have a social media presence too. Trust is the most vital part between the patient and the Dental practice. If your patients don't trust you, then they will not book an appointment with you. Trust is a crucial part which cannot be ignored by any Dental practice. By having a social media presence on Facebook, Instagram, you as a Dentist can post images of your services you undertake or successfully completed. E.g a Wisdom tooth extraction, Teeth whitening treatment and many more. By showcasing what you do and how well you do it, will build trust and improve your relationship with the potential patients. Social media marketing is an excellent way to build patient and dentist relationship. We vouch for Facebook as the best social media platform to use because of its ability to show patient reviews and a larger social profile too. One can share images, content and keep their patients informed of any new products/services your dental practice has to offer. 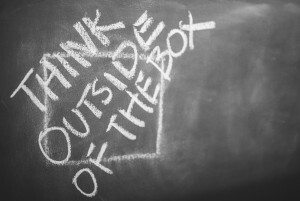 If you want to beat your rival Dental practices then you have to think out of the box. By that we mean, you need to adopt a more competitive approach towards your marketing, you need to create better content and offer better deals to potential patients than what other dental practices have to offer. Your deals have to stand out from your rivals e.g creating a Google Ad that you're offering a Dental service at a reduced rate or offering extra benefits for an existing service you provide. It has to be unique and different that's why you will stand out from the rest. Before creating your Dental offers, do take some time out to research on what your rival Dental clinics are offering. Through this research, you can create offers that will attract patients to your clinic as opposed to your rivals. There is no limit to where your ads can be placed, be it on Google Adwords, within your website, social media platforms like Facebook, Instagram etc, local flyers within your area. If you think undertaking this is quite overwhelming, you can hire our marketing team to undertake this on your behalf so that you can get the best ROI. If you browse through over fifty different dental marketing websites, you will see that many services offered are different and the same applies in every other industry. One thing that we have been vouching since day one, to our clients, is adding a blog. As an SEO company, we know and understand the importance of having a blog on your website and how it can bring about increasing your patient numbers month on month. Saying that many Dental practices do not implement a blog on their site nor have a single post on their site. As an expert Dental marketing company, we will simply say that you as a Dental practice is missing out on the various opportunities that your site can take. Within the content, you can write and demonstrate your expertise and provide valuable information to your potential patients. Blogging is proven to help increase website ranking within the search engines as it an active way to attract patients to your site when they are searching for answers to their queries. All in all, create a blog and commit to adding at least one informative post a month, try to write as much as you can, with the minimum being five hundred words. 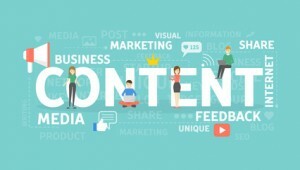 Here is some great information about what Content marketing is. How to Choose the Best Dental Company for your Practice? 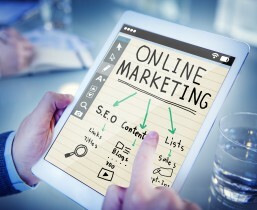 As a Dental practice owner, you understand that you require assistance with your online marketing, but how can you ensure that the dental marketing company is the right one for your practice? With digital marketing getting more and more vital to the success of any business, it is important to select the best dental marketing company for your practice. With the digital world, your potential patients are exposed to seeing what your current patients or past patients have said about your services as a dentist. Do you want a dentist that you can trust? Of course yes, the same approach has to be taken into consideration by the Dental practice owner. Patients are looking for trust so your SEO company must ensure they devise a marketing plan through which trust is built. The right dental marketing company will be able to work with you using marketing channels such as your site, social media platforms, PPC campaigns, and content marketing, etc to ensure a healthy flow of quality new patients to your dental practice each month. On the flip side, the bad SEO companies will fail to understand your dental practice and its need for a continuous flow of new patients. We get contacted by many dentists each day who have been failed by such dental marketing companies and become frustrated with the money that has been wasted too. The most useful tool and powerful marketing tool is the word of mouth. As a dentist you must have made a lot of contacts over the years, you can seek help from these contacts to find someone capable to handle your Dental practice's marketing needs. Another marketing medium is Google! Everyone these days starts searching for a product/service via Google. Begin searching for Dental Marketing Company, this way you can see which Dental marketing company is on page 1 within your location. The most obvious thing to do after this is to check and read reviews provided by the company. If the Dental marketing company is experienced in their field then they will have positive reviews within Google. Also for a site to be placed on page 1 for a prime Dental keyword too creates trust and reliability as Google will not place any site at the top. There is another approach which sometimes people use but often gets backfired, which is "letting the Dental marketing company come to you! Now if a Dental Marketing company is at the top, with many clients, they will not have time to look and search for other Dentists that want to take up marketing. Some Dental Marketing companies like us, only take one Dental practice per area so that there is no conflict of interest. Before you reach your final decision, ask yourself: Is the SEO company experts in Dental Marketing? Do they have any proven data to back their claims? Finally, do keep a check on how quickly they respond to their emails or calls. Most of our clients want us to create and implement SEO strategies based on attracting more Invisalign patients as this approach has been very effective in increasing their Dental practice's revenue. Those who know, Invisalign is an expensive dental investment, and many patients will first undertake their own research regarding the practice they can trust and the price they can afford to pay. As a Dentist, you want to be found at the top of the searches when someone types in " Invisalign Dentist near me". or "Invisalign Dentist (in your city). 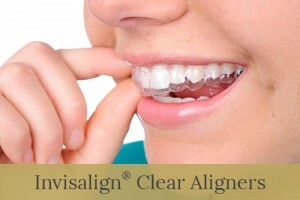 Invisalign Marketing Should be Patient Focused. When your Dental Practice has written content with regards to Invisalign, they need to ensure that your potential patients are able to understand the content and relate to the services you are providing. Your patients do not want to read, how great your dental practice is and how great of a Dentist you are, they want to know, what you can do for them. So, within your content make sure you write about what your patients want and understand the importance of Invisalign to meet their requirements too. When your patients are searching for Invisalign, they might be using different variations of the main search term. Keeping this in mind, you need to ensure that your content covers all the keyword variations. If you're based in Middlesex (West London), you would want to dominate all Invisalign related searches within your area, for this you need to create a separate landing page mentioning your area and the keywords such as clear braces, clear aligners, invisible braces and more. The most important thing is that your content has to be unique and not copied from the Internet. 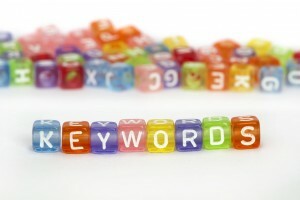 What are the Best Dental Marketing Keywords? For every Dental Practice, it is important to select the most appropriate keywords as this increases their chances of getting found online and increase their patient numbers too. We at Dental Marketing Company understand what every Dentist or Dental Practice requires, therefore, our marketing strategy is devised keeping in mind the best keywords should be selected at the very start. The keywords you select should be focused around the services you want to promote e.g Dental Implants, Invisalign braces etc. You need to ask yourself, do you want only local patients? Do you want to target to a larger audience nationally? These are important questions to answer because as a Dentist you do not want to target areas that you cannot work in, for example, "Invisalign Birmingham" as a keyword will not work if you're based in London. It's best to select your keywords and the city or town your practice is located. Your potential patients do not just enter " Dentist" when searching for a Dentist locally. They type Dentist "followed by the area". If you do not research properly before commencing SEO, then it can result in wasting your marketing budget and not getting the results you had hoped for. 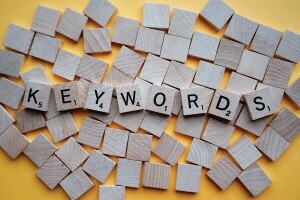 Let us at Dental marketing company help find the most appropriate keywords for your dental practice. Invisalign is one of the most searched keywords online right now with over 100k searches alone within the UK. Now as a Dentist you can create your list of keywords based on this popular keyword, such as Invisalign Richmond, Affordable Invisalign London etc. A video is good for your dental marketing SEO. In fact, YouTube is the second biggest search engine next to Google. Videos on YouTube has more than 5 billion searches every month. In addition to this, digital experts predict that video content will be the motivating force behind over 75% of search traffic in the U.S.
Another interesting fact: Posting a video on your business website can drive an increase of over 100% in organic traffic from search engine results pages. What this means is that If you’re not already having a video on your dental practice website yet, you get left behind. Sign up an account for YouTube and make educational videos right in your channel. Increases to search engine marketing and conversions aside, the video also promotes engagement on your social media platforms as video generates a whopping 1500% more shares than posts and images combined. Basically speaking the figures all encompass a simple truth: having a video for your dental practice definitely pays off if your aims for growing your business include a good organic ranking increase. You may think video marketing for your dental practice is time- consuming. The need to employ a video professional and work on it the whole day for a video shoot. But here’s what you’ve been missing: A video created by a professional for both your dental website can do wonders. Share your video on Instagram, Facebook, and Google + so your readers and patients can watch what you’ve got to offer, and maybe some brief informational lectures. Dental Marketing Company can help optimize your video, just send us a message and we will devise an effective plan for your marketing campaign. Have photographs of you and your dental office? We can help you make engaging dental marketing videos for your website. With these choices, you can still enjoy all of the conversion and SEO benefits of video without unnecessary hassle. Video marketing shows increased visibility and a much-improved search engine optimization. Our custom videos can help you effectively promote dental services. According to a digital marketing study, more than 50% of consumers prefer video to learn more about a service or product --- that is, if text and video are available on the same page. Additionally, 80% of consumers were enticed to purchase a product or service after watching a marketing video. Needless to say, Dental Marketing Company’s custom videos could help you gradually increase conversion and most importantly, acceptance of your leading dental services. To wrap up, video marketing for your dental practice is much too important to ignore. Making easy and simple videos is an effective approach to connect with patients by showing the human side of your dental practice, and continuously improve your dental SEO. 1. Select the Relevant Keywords. Do you know the keywords that your patients will by typing when looking for your medical services online? You need to write down a full in-depth list of search phrases that better describe the services and products you offer as a medical clinic. The list has to be comprehensive and requires both local and national keywords. Do not just focus on choosing highly competitive keywords, there has to be the right mix of low, medium and high competition keywords. Once you have the list of keywords ready, open Google's Keyword Planner and enter the keywords to see the amount of traffic and searches your chosen keywords get. From this list, you will be able to see all variations of your keywords and competition level too. As a piece of advice please try to select keywords which have more than 100+ searches minimum per month. There is no point in selecting a keyword that has no searches at all. Once you are ready with your list, you can start adding these keywords within the site's meta tags and creating relevant landing pages for them. You will need to write high quality, unique content and include your chosen keywords within it. Statistics provided by Google shows that 77%of the population used their search engine before booking an appointment so it goes to show the importance to select the right keywords and incorporate them correctly within your website. All in all, select those keywords which will drive more patients to your medical clinic. After you have selected your keywords, the next phase is to ensure these keywords are added throughout the content and more importantly, within the metadata of all relevant landing pages. What is the metadata? 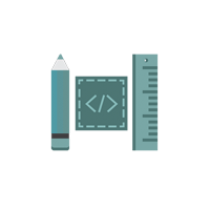 This consists of the HTML meta tags and is found in the opening and closing head tags within the HTML code of a page. These vary from website platform as its different on a PHP based custom site. Meta tags will tell Google exactly what the page is about, your meta title will describe the page and your meta description will summarise what your page is about. If you open Google and search for anything, you will the results will have a title first and then a short description. This is exactly what you as the medical company has to add. The title should not be longer than 65 characters and the description not longer than 150 characters. One more important element to add on the site is header tags, these again tell the search engines about what the page and content are about. There are several types of header tags, H1, H2, H3 and more. Your medical practice has to create, high quality, compelling content for their medical practice. This will enable your medical site to stand out amongst your competition online and outrank them within the search engines. Through your quality content, you will be able to educate your target market and help them understand your medical practice's value and expertise over time. By creating content, we not only mean website content but blogs, articles, case studies, infographics related to your medical services and any sort of medical research information that will be valuable in driving more traffic and improving your website's search engine rankings too. How can we find a way to write content? A really good way to write quality content for your medical practice is to think about all the frequently asked questions by patients within your field. For example, if you were a dentist, maybe your potential patients would be searching for information about "wisdom tooth pain" or "ways to protect their teeth". Create engaging content that answers these questions for your potential patients, this will help in building credibility and trust for your medical practice as your site will appear as an expert within the specified medical area. Sign up on Wordpress and set-up a free blog for your medical practice. Make sure you add this blog within your website as it will help in driving traffic and increasing your site's domain authority within the search engines. 4. Add a sitemap on your site. Creating a sitemap is one SEO tactic that's often forgotten. It is crucial to the indexing of your website within the search engines. 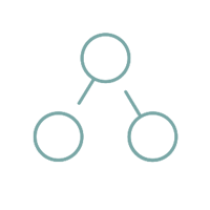 A sitemap comes in 2 forms, XML and HTML. This helps in giving all the search engines a perfect map of how your website is laid out. The advantage of having a sitemap is that your customers can easily access all your site with one click and find the page they are looking for. 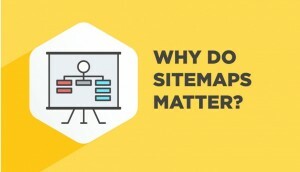 Creating a sitemap can be a difficult problem if done manually but thankfully, there are several websites that assist in generating a sitemap for you. Try using this the XML generator, which according to us is the best sitemap tools generator on the web. When creating a sitemap you must follow some guidelines for sitemaps by Google, which explain what can and cannot be submitted to Google for indexing. As a medical practice like a dentist or doctor, do you want to be found locally where your potential patients can connect with you or do you want to be found nationally where you might find visitors but conversion rate will be very low due to the distance and nature of the services offered? As patients, we look for local dentists or doctors, therefore, all medical practices need to strategize their marketing campaigns locally, where their actual patients will derive from. Did you know that nearly half of the local searches are conducted on a mobile device, according to Yext. So it is imperative that your website is mobile friendly and gives a smooth and easy local experience to your potential patients. In the medical industry, local search is the most important search verticals because patients use their mobile devices to locate a local doctor, dentist or physiotherapist for their services. In 2019, if your medical practice is not utilizing any social media platform then you are loosing out on a lot of traffic and revenue as a result. Social media is an important marketing factor and a vital ranking signal confirmed by Google too. Social media will help in driving traffic to your medical practice as well as help in enhancing your local presence within the area you are located in. All in all, social media is taken into consideration by all search engines when ranking a medical practice. If your medical practice has a social media presence and is shared across all social media platforms then this can have a positive impact on search engines where your site has been indexed. When starting with Social media, make sure you create a Linkedin account, Facebook, YouTube, Google and Twitter. Begin creating a local audience for your medical practice and inform your potential patients of your services and products you offer them locally or nationally. Create offers, add pictures as these will enhance your profile's credibility and trust. Make sure you fill all the details when it comes to creating your social media accounts. Your medical practice name, logo, summary, description etc. This will help the search engines index your profile quickly. 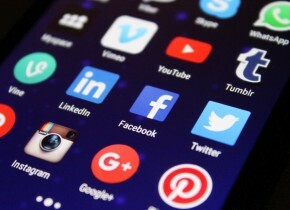 As you update your social media platform, focus more on quality over quantity when it comes to content that your medical practice shares on the social media platforms. As a Medical Practice, how do you want to use SEO to increase traffic to your medical site? 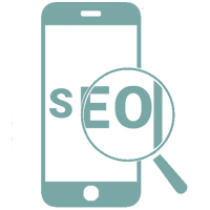 Do get in touch with us if you require some more information about how our medical SEO services can help your site get to the top! We took on this exciting marketing campaign at the start of November 2018. We were given 17 focus keywords that were imperative to the success of this business. Within 1 month we got them on page 1 for their prime keywords and now they are dominating the dental industry in Richmond, London. Harley street itself is a world re-known name in the cosmetic industry. We implemented a contnet marketing strategy so that our client's site could improve its authority and then dramatically shift in search engine rankings. We achieved first position within 4 months and client has sustained the position for 10 months and counting. We are very transparent and ethical about our work. We prove that SEO rankings can be achieved within an affordable budget. 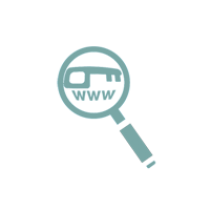 Our SEO client wanted to be found on page one for a competitive keyword that entailed the specialist service they offered, " Teeth Whitening". Within 5 months we achieved this feat for them. We have done the same for other cities they wanted to target in USA. If you are looking for similar page 1 ranking contact our SEO team today for a cost effective marketing solution. Here’s a Dental Practice that had been struggling to get patients locally for over a year. We took over their SEO and digital marketing campaigns in January 2017 and you can see the dramatic impact our work has had on their rankings. This client now ranks nationwide for over 80 keywords, 45 of those are on the first page of Google. Note: The chart below only shows the keywords we’re actively tracking for this client (those most profitable for the client). Copyright © 2019 Dental Marketing Company. All rights reserved.